“When the mind is not criminal, the body is not criminal”. This basic legal maxim is the basis of insanity and intoxication defenses. An intoxicated person may be likened to an insane person. 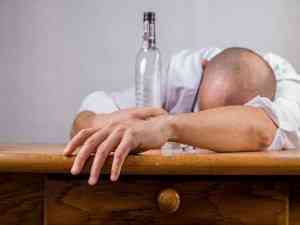 A drunken person loses control of his basic faculties and is unable to discern his acts. His reflexes also weaken as his judgment is clouded. In this sense, his acts cannot be completely attributable to him. He lacks the sound judgment that a prudent man would have when he is sober. Intoxication usually aggravates crimes. A criminal charge of negligence is aggravated by intoxication. This is because such state in itself shows abandon of one’s duty. There is an assumption that a person failed to be diligent enough since he pursued an act despite his limited faculties. A crime may be mitigated by intoxication is limited instances. A person who got drunk for the first time and in the process commits acts of negligence or otherwise criminal will find his penalties mitigated. His lack of prudence is attributable to the unfamiliar substance and not a conscious choice. According to a seasoned criminal defense attorney in Houston, a person who is found to be drugged or intoxicated by another person without his consent can use the same defense. Intoxication may be a defense against unscrupulous contracts. A drunken person fails to exercise proper judgment. He enters into agreements without fully understanding the consequences of his actions. The lack of volition operates to absolve a person from liability. Contracts entered into by a drunken person are voidable. He is absolved from the obligations therein if it is sufficiently shown that the other party took advantage of his state. An experienced criminal defense attorney in Houston will be able to help you form a good defense centered around the theory of intoxication in order to void contracts. Intoxication may be used to increase, decrease or completely absolve charges against you. It is important to explore all possibilities and relay all facts to your lawyer. Consult with a criminal defense lawyer to fully flesh out your case. Above all, it is best to exercise caution in all your affairs. Be mindful of your alcohol tolerance and drink in moderation.